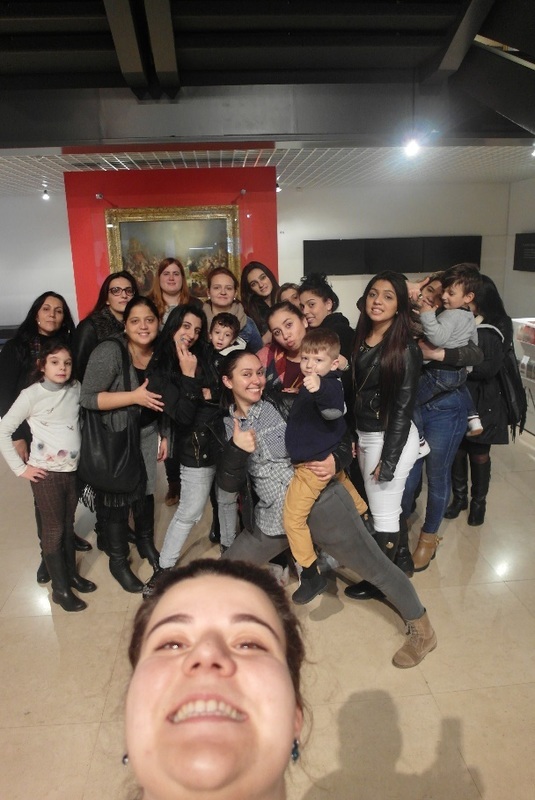 Last January, 7th, 2016, REDE, one of the partner’s in the DiverCity Project, led Roma young participants to the Museum Nacional de Arte Antiga (Nacional Museum of Ancient Art) and full of faith we started the fantastic workshop on Gender and Art! 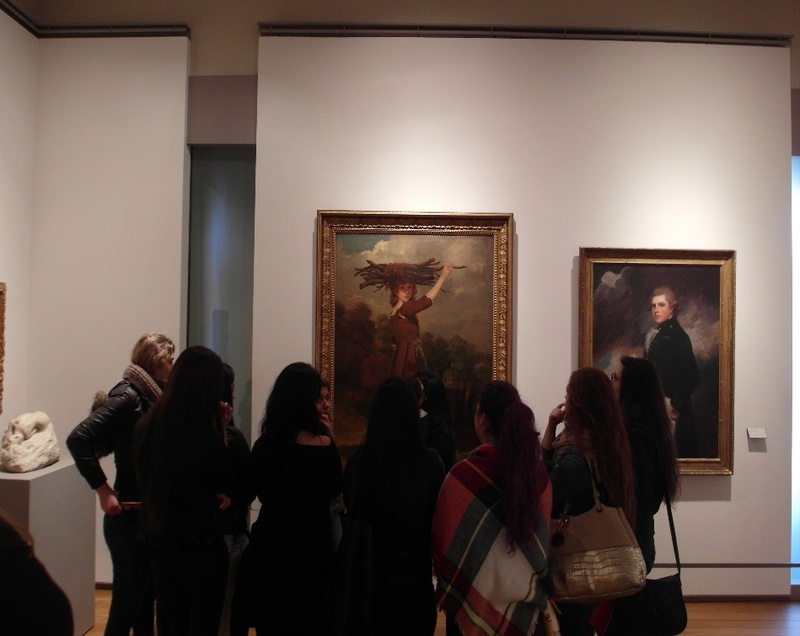 For many of our participants, this was the first time they have ever entered on a museum, according to one of the participants, their idea of ​​museums was a 'dark place, old and boring' (MM). In the first activity, we proposed to the young women, to explore the place (museum), the way they wanted. The first room of the museum, was a room dedicated to Nativity scenes, so we asked the participants, to see and bring us their impressions. This was a very dynamic activity in which we benefited from several different perspectives of the ten young participants. Some said that those were the most beautiful nativity scenes that they had ever seen and that they had never thought that this would be an article to exhibit in a museum. According to their expectations, a museum was a place that contained only pictures and sculptures and did not look anything like the place where they were now. We realize that, being very out of the museological context, their eyes were not trained for certain aspects of a museum. 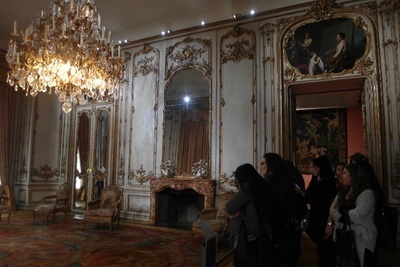 For example, the notion of distance between piece of art and visitor was not clear (one of the participants said, very exalted, 'But why can I not touch the piece of art? Hands also see, just like the eyes! TA), as well as their own following typical behavior in a museum, it was not traditional at all. Then we started the tour itself and we gave all the freedom to our participants to, step by step, room to room, explore the nooks and crannies of the museum. Since the workshop’s aim was to deconstruct gender, gender roles and gender mainstreaming, we focused particularly on one of the rooms. This room had ten paintings, portraits of men, except for one, a woman. In addition to this clear numerical difference, there were still differences in social classes. In the midst of nine pictures of men dressed in expensive clothes and coats, the picture of a woman, by the way girl (later nicknamed 'Bruna' by the participants, because she looked like a girl they knew) was totally different from the rest. 'Bruna' wore very poor costumes, ragged and in poor condition and was barefoot carrying firewood for her home. This was one of the highlights of the workshop, therefore before any deconstruction of any piece of art, the young people had to bring us their views on these same parts. In this context in particular, the emotional connection between the youngsters and the story of 'Bruna' was very strong. There was an immediate connection as one of the young participants said, 'This could be me!' (GV). Since they entered this room, tey began by talking about the facial expression of the girl (we had previously worked aesthetic issues on a previous session), she, Bruna, was sad and showed to be helpless and alone. Who had been struggling and had the world at her back. This was one of the moments that marked the workshop because it was the most emotional and felted. In Portugal, as in other countries, Roma communities are subjected to large and multiple discrimination, with special focus on Roma women. In the midst of various adventures, where three of the participants broke into an exhibition and even a fashion show took place next to the 'crown jewels', we ended the day with many good feedbacks, the most positive we got with this group so far,' I never thought this was so beautiful! '(AP), 'Bruna makes me want to cry, but in a good way ... I can understand how she feels. '(VM), among many other shares!